The CareGiver Partnership: What Are the Symptoms of Multiple Sclerosis? It is important to seek out treatment when you do notice any of these symptoms. The symptoms can progress as you could end up with serious problems like increased muscle spasms along with changes in the way you think and heat sensitivity. Fatigue is one of the common complaints with MS suffers. Dealing with fatigue can really take its toll on your body mentally and physically and even emotionally. If you start dealing with incontinence as well due to the weakened muscles, you can become stressed about this. Finding the right type of incontinence products to use will help you in managing your incontinence problem. Look for products that are easy for you to change. There are a lot of incontinence supplies that have Velcro sides or button sides, making them easy to change out. Knowing the fatigue or pain that you deal with in your joints will help you in choosing supplies that are easy to change out and won’t cause you additional pain. Typically incontinence occurs as a secondary symptom to MS. You normally can prevent it if you are working with your doctor to get the right treatments early on or at least you can start to prepare yourself for the secondary symptoms of MS.
Start using incontinence bed pads to help in preventing damage to your bedding at night. You can easily deal with bed sores when you have MS as your issues with fatigue can cause you to spend a lot of time laying down. When you are in the advanced stages of MS it is easy to see that you are dealing with frequency urinary incontinence as you do not have control over the bladder as effectively as you once had. You must work on understanding the frequency of your urinary incontinence problems so you do know what type of absorbency you will need with your adult diapers. Bladder infections can be quite common when you are struggling with incontinence. The problem is that urine will sit in the bladder and when it gets released it will sit in the diaper, where additional bacteria will grow. This can get into the urethra and lead to a bladder infection. You have to focus on increasing your intake of foods that can help to reduce the amount of infection that can occur. Vitamin C and beta-carotene foods will help to fight off infections. You also need to focus on changing out your adult diapers any time they are soiled. Leaving them wet on the skin will lead to not only bladder infections but other concerns as well like sores on the skin. Multiple sclerosis is not the same in every person and the symptoms can progress on their own. Multiple sclerosis and incontinence is at least one of the symptoms that does have good treatment options to choose from. 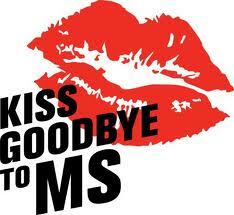 You may have new symptoms that appear out of nowhere 2-3 years after your initial symptoms have started, which is one of the reasons why MS can be so hard to treat.